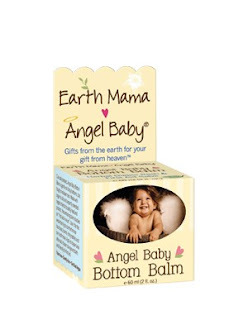 Great Baby Stuff Blog: Earth Mama Angel Baby Bottom Balm Review and Giveaway! Earth Mama Angel Baby Bottom Balm Review and Giveaway! "We use the highest-quality, certified-organic or organically grown herbs and oils for our teas, bath herbs, gentle handmade soaps, salves, lotions and massage oils. Our products are 100% toxin-free, cruelty-free, vegan, and free from all artificial preservatives, fragrances and dyes. Our commitment to honor the earth and her valuable resources extends to our packaging as well - we use only eco-friendly recyclable or reused/reusable packaging and packing materials. It's true - we are even the proud recipients of the BRAG (Business Recycling Award Group) for our green practices." Read more about Earth Mama Angel Baby's policies and practices here. "Our #1 best selling salve is clinically tested, safe for cloth diapers, and safely battles existing diaper rash and protects against flare ups. The only balm made with organic olive oil infused with a proprietary blend of naturally antibacterial and antifungal organic herbs, shea butter and pure essential oils, soothes thrush, itchy bug bites, scrapes, chicken pox, minor rashes, and burns. Allergy tested, non-irritating Angel Baby Bottom Balm is vegan (no beeswax!) and works great for all your diapering needs, and especially well with all kinds of cloth diapers." Read more about Angel Baby Bottom Balm here. Earth Mama Angel Baby is a company that produces mama and baby products made to extremely high standards and quality. Their ingredients are pure, organic and toxin free. They also work fantastic, and in the case of their Bottom Balm, have many other uses. Earth Mama Angel Baby Bottom Balm has an enchanting appeal to it, because the product is just so good all around. From the organic ingredients to the recyclable packaging, Earth Mama Angel Baby's Bottom Balm worked great, smelled heavenly, and felt great to use. When the package first arrived, I saw that the container is quite small, only 2 oz. When I opened the jar and felt the contents, I saw why. I expected some type of cream, like Desitin, but instead the look and consistency is that of a high-end lip balm. The directions say to apply liberally when using for first aid, but a liberal application is still a very tiny amount. It would take quite a while to use the whole 2 oz jar! My only "Darn" moment was when I tried using it on his cheeks near his ears to see if it would work its magic on the little rough patches on his skin there. It only seemed to make the tiny bumps a little bigger and skin a little redder after 2 days of using it, so maybe he is sensitive to the ingredients when used on his face. On the plus side, every time I used it on him, he spent the next 10 minutes yawning occasionally. I suspect its the lavender in the balm, and it was very useful for getting him to take a full nap and let me get some laundry blogging done. I felt great getting it in the mail because I could toss all the packaging in the recycling right away. I felt great opening it and seeing what it looked like because its such a cute little jar and smells wonderful (it has a tea tree scent, but not overpowering as it is mixed with the fragrances of the other ingredients such as lavendar). I had a great time using it because I knew it was safe for my baby and had no toxins or weird chemicals, I even knew what each of the ingredients on the package were. Speaking of which the ingredients are: Organic olive oil, organic shea butter, candelilla wax, organic jojoba oil, organic calendula extract, tea tree leaf oil, organic lavendar oil, organic St. John's wort flower extract, organic chickweed extract, organic plantain extract, and myrrh oil. See? All great stuff that looks like it would work well, and you probably have heard of all of them! I love that it can be used on more than just baby bums (as long as you remember not to double dip when applying to baby bums, that might ruin it for other uses?) and I will be trying it out on my next razor burn (I tend to get those once in a while, as my baby got his sensitive skin from me) and Daddy always has plenty of boo boos from work that don't get enough attention. Now I have something that I can put on them, at least to let him know that I do see his boo boos, and care about them, after all. Convinced you will love it? Head over to their store and grab some for yourself! Don't forget to check out their other great products, like herbal teas for pregnancy ailments and more. They have some pretty useful stuff, all of which are also organic, toxin free and eco-friendly as you can get. Or enter to win one for yourself! Only open to US and Candadian residents. Winner will be selected via random.org on August 5th and have 3 days to respond before a new winner is selected. Good luck! I follow Earth Mama on twitter @Aerated. I subscribe to Earth Mama's newsletter. 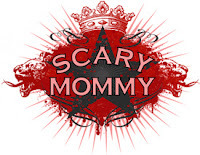 I follow Great Baby Stuff on Google Friend Connect! I signed up for Earth Mama's newsletter! I took the baby bug away survey. Following Great Baby Stuff on Facebook. I follow them on twitter (UneVieChic).